Armenians are used to mass demonstrations, but never before has the target of protest been the regime itself. That thousands of Yerevan residents should take to the streets, as they have done every day this past week, is no real surprise. It is, after all, the fourth summer in a row that mass protests have gripped the Armenian capital. In 2013, demonstrators protested price hikes for public transportation. In 2014 it was pension reform. In 2015, what started as a protest against higher electricity bills became the so-called “Electric Yerevan” movement that Russian state-controlled media hyperbolically compared to Ukraine’s Maidan. But this summer’s protest is different — not so much in form, but in character. No longer are the demands social and economic; now the ultimatum is regime change. 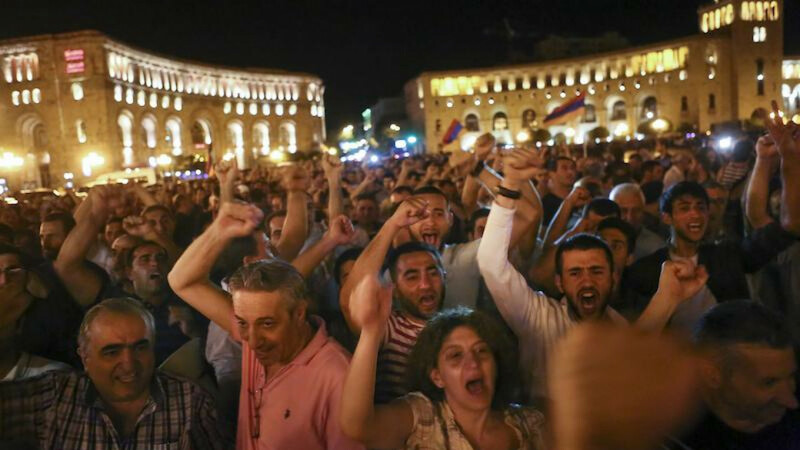 Yerevan residents are rallying to voice their support for an armed militant group that seized a police station in the Erebuni district on July 17. The militants are demanding the release of all political prisoners and the resignation of Armenian President Serzh Sargsyan. They call themselves “The Sassoon Daredevils” after the title of a medieval Armenian epic about the strongmen of Sassoun — a historic region of Armenia — and their struggle against Arab invaders. Among these latter-day Daredevils are two heroes of the Karabakh War of 1992-1994, Pavlik Manukyan and Araik Khandoyan. Both are renowned throughout Armenia and the international Armenian diaspora. Most Daredevils members support The Founding Parliament movement, the main non-systemic opposition force in the country. One of their first demands was the release of Jirair Sefilian, leader of The Founding Parliament, who was arrested in June. The Daredevils released all their hostages on July 23 on the condition that a press center be erected in the compound they control. But the authorities responded in the usual way for a former Soviet republic. State-controlled television made no mention of the takeover of the police station for the first two days. Police dispersed supporters with excessive force. Video cameras captured riot police kicking demonstrators who had fallen to the ground. Road workers suddenly decided to lay new asphalt in front of the presidential palace and all official government spokespeople seemingly disappeared. 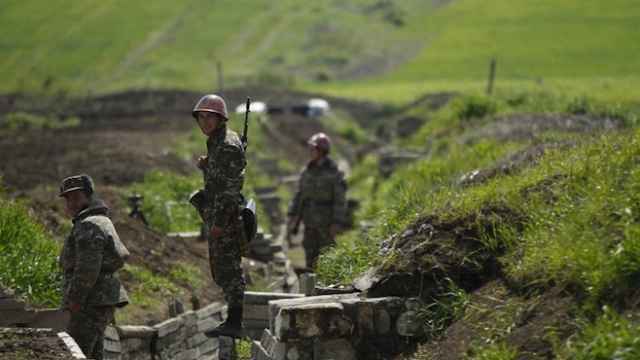 Only on July 22, five days after the armed conflict began, did a notice appear on President Sargasyan’s website condemning the militants. 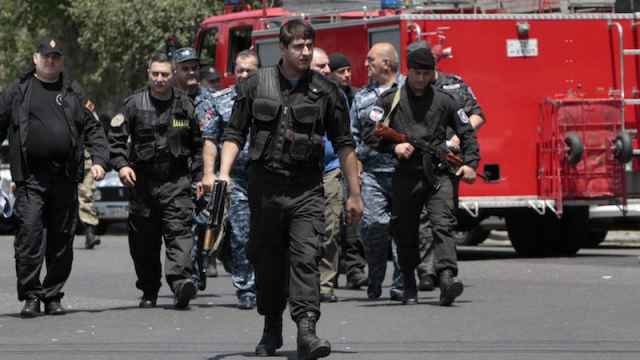 On July 27, it was reported that the militants had once again taken in hostages, though this information is disputed and difficult to verify. The National Security Service is calling the takeover a terrorist attack, but the number of Armenians who disagree with that assessment is growing daily. Armenian society has a deep aversion to all acts of violence. The bloody ethnic conflict with neighboring Azerbaijan and the terrorist attack against the parliament in 1999, when masked gunmen killed eight deputies, is still fresh in people’s minds. Paradoxically, however, it is the very rejection of violence that many Armenians have come round to supporting the Daredevils. Armenian society is, essentially, too small for corruption and crime to remain hidden. A consensus has formed that the authorities use their monopoly on violence for personal gain. People remember how President Serzh Sargsyan came to power by suppressing mass protests that followed presidential elections in 2008. They remember how police used force to disperse the protesters, causing the deaths of eight demonstrators and one soldier. The Founding Parliament movement has never advocated the use of force to achieve a regime change, and the seizure of the police station seems to be a gesture of despair from some of their veteran members. For years, Jirair Sefilian and his supporters took to the streets with placards, recorded video messages, traveled around the country in caravans and used every possible peaceful means of protest available. As a result, they were arrested, given hefty prison sentences and beaten by people in civilian clothes. Armenia celebrates 25 years of independence in 2016, although it is difficult to find a single citizen who would characterize the country as free and independent. According to official statistics, more than 600,000 people emigrated from Armenia during those years; unofficially, it may have been as many as 1 million. Like Ukraine, Armenia was slated to sign an Association Agreement creating a free-trade zone with Europe at the Eastern Partnership Summit in Vilnius in November 2013, but after a closed meeting with President Vladimir Putin in Moscow, President Sargsyan announced that he was rejecting integration with Europe in favor of joining the Eurasian Economic Union. 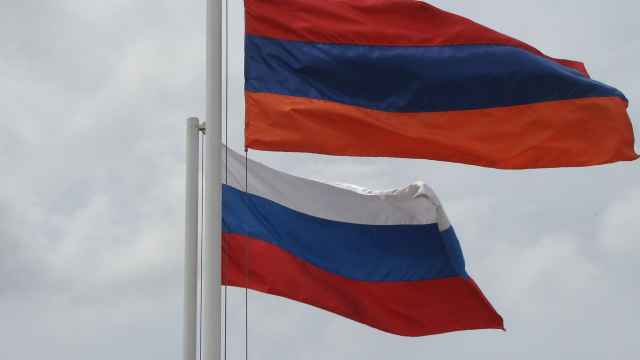 Over the past decade, Armenia has handed Russia control over many of the country’s strategic facilities, including the Armenian Nuclear Power Plant, Armsberbank (The Armenian State Savings Bank that later became a branch of Russia’s VTB bank), the Hrazdan Thermal Power Plant, and many other assets. And yet, over the past five years, Russia has sold Azerbaijan — Armenia’s main foreign enemy — offensive weapons worth more than $4 billion. 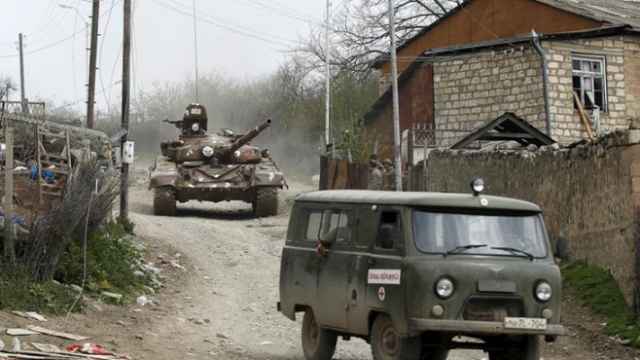 Azerbaijan used those Russian weapons during a four-day clash with Armenia in April 2016 that resulted in the deaths of more than 100 Armenian soldiers. A consensus has formed in Armenian society that corruption and the authoritarian regime are the main problems facing the country, and that they are destroying the economy and threatening Armenia’s sovereignty. The groundswell of support for the Sassoon Daredevils, taking in everyone from retirees to youth carrying smartphones, is an indication that the ruling elites are not in for an easy ride. Grigor Atanesian is editor of Russian Esquire.